Yulia Tymoshenko - an official website | We should remain human beings despite the fierce political competition…. 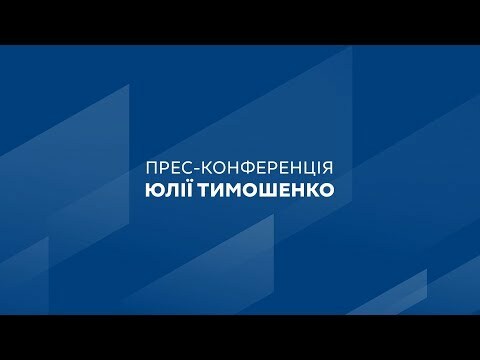 Yesterday I watched the “telephone debates” between President Petro Poroshenko and candidate Volodymyr Zelensky. What I saw pains the soul of every Ukrainian because I saw the destruction of the status of the post of President and the humiliation of the Ukrainian state. And I think that this is something that I an millions of Ukrainians did not want to see. I want to appeal to Petro Poroshenko. I know that some people in Ukraine believe that you did some good things for our country. Therefore, in this difficult time for you I simply recommend that you not become part of someone else’s show and hold the standard of the presidency high. And no matter how hard it might be, that you defend the status of the Presidency and the state. I also want to appeal to the person who in several weeks may become the new President of Ukraine – Volodymyr Zelensky. If you dream of assuming this post, then mountain the dignity and honor of this post. Don’t create fights around it. Don’t ruin the honor and dignity of the Presidency in your fight for the right to be President. I think that all of us, despite the fierce competition, should try to remain human beings, people who dream of a happy and prosperous Ukraine. I hope that all of this ends as quickly as possible so that we can move on to the rebirth of Ukraine. And I think that out team will make it’s own contribution to this process.